Are you a business owner in Kimberley? 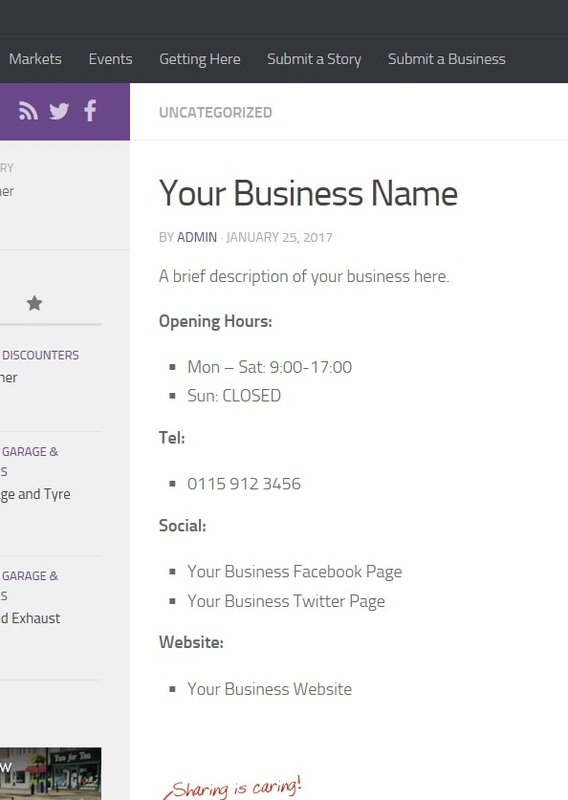 Would you like to make amends to your business listing, including opening hours or images? We re-post business listings every weekday to our Facebook page, so the accuracy of the information we have published is important. Dance or other classes taking place in community centres or within existing business premises, are not classed as ‘bricks and mortar’ businesses themselves and therefore we cannot list within our directory – Sorry folks! If you are eligible – All we need is a short bio for your business, opening times, telephone number, website and social media pages if applicable. We can also add up to a 9 image gallery to help make your business listing more attractive.